and I am the Designer of Baby Love Diaper Cakes. you the highest quality Diaper Cake & Baby Gift products. is that mine are unique and special. all completely new, usable and of top quality. from the baby items down to the detailed themed ribbon!! And...of course everything is made with lots of LOVE! you are giving them a wonderful product that will put a Smile on their face! rest assure that no one will be giving the exact same gift as you! All My Wonderful Baby Gift Products. I Have Been Designing Diaper Cakes for Family and Friends for over 20 Years! and I truly believe it shows in all of my creations!! to Talk About Your Special Gifts! Visit my Personalized Embroidery page for Options & Photos. please email me or telephone me anytime to discuss your order. Burp Cloths, Baby Blankets for an additional Cost. It can include the Baby's Name, Birth Date and Weight/lbs. or any saying that you want. Special themes and patterns can be included as well at no extra charge. Please allow for 1-5 days for all embroidery. enter the zip code of your ship-to address and click calculate. Virgin Islands, Puerto Rico, APO/FPO & other US Territories. Your package will be shipped via U.S. Post Office Priority Mail. I do offer Expedited shipping. Additional fees may apply. Please email me with your shipping delivery deadline and location for a quote. Shipments will be processed immediately after payment has been received. Canadian and all International buyers must pay for any Broker, Duty and Customs Fees. Overseas buyers must contact me about shipping charges prior to purchasing. Including weather delays, delivery driver error, or incorrect address. A delivery notice is left, you are responsible for making arrangements for delivery. within its original shipping box. original packaging bag, unused/unassembled and be received within 7 days of delivery. minus a 20% of Total order processing fee and shipping costs. personalized, such as favors and any embroidered item. and before final photo is sent by email. Cookies are used to track anonymous visitor stats. Payment must be made for all Custom Orders prior to shipping. Orders including Custom Embroidery must be paid for prior to designing. Embroidery work can not be undone once an item has been embroidered. PayPal, Credit Cards, Money Orders, Cashier's and Personal Checks are accepted. You don't need to have a Paypal account to use the Checkout Process with your credit card. All Financial Payment Information is maintained only by Paypal. PayPal will guide you through their safe and secure checkout step-by-step. This is a safe way to pay without giving out any personal financial information or card numbers. I provide either a Paypal invoice or a website link for purchasing of any custom orders. made after payment has cleared. All orders will be processed immediately after confirmation of payment. There will be a fee of $35 for any Returned Checks due to insufficient funds. This is an outbound estimated FedEx ground delivery time line from Florida to your location. Alaska, Hawaii and APO/Military delivery time is 2-8 weeks by US Post Office Parcel Post. 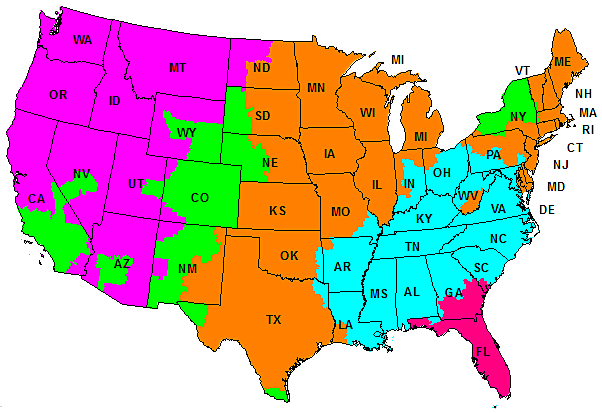 Expedited Delivery of US Post Office Priority Mail is highly recommended for these areas. All Photos on this Website are Copyrighted!